Jeff Goodwin, Rangeland Management Specialist with the USDA - Natural Resources Conservation Service has been working with land management and producers for over 10 years. He received his Batchelor's and Master's in Rangeland Management from Tarleton State University. He was the recipient of the 2008 Outstanding Young Range Professional Award presented by the TSSRM to an individual member who has demonstrated extraordinary potential and promise as a range management professional. Jeff is committed to the rangeland resource and the range profession. He is energetic, enthusiastic, and always full of ideas. He certainly doesn’t sit still for very long. He’s constantly looking for another project or activity to get involved in. He never waits to be asked to help. He is always among the first to volunteer for almost any job. While in college Jeff worked at the Texas Agricultural Experiment Station in Stephenville and was a graduate assistant for the Department of Agriculture, Horticulture, and Range Management at Tarleton. He also served as a research associate for the Texas Agricultural Experiment Station in Vernon. He was responsible for all ranch operations on the Smith/Walker Experimental Ranch as well as for acquisition, and analysis of data pertaining to the Beef Cattle Nutrition research on the ranch. Jeff received numerous academic achievement awards while at Tarleton and several performance awards from NRCS. He has co-authored 7 peer reviewed publications as well as authored and co-authored more than a dozen technical papers and oral presentations related to rangeland management. Jeff began his career with the Natural Resources Conservation Service as a Rangeland Management Specialist at the Lampasas Field Office. After a little more than a year at Lampasas, he was assigned to the NRCS Fort Hood Project Office in Gatesville. There he had primary responsibility for planning and applying a coordinated natural resources conservation program for rangelands on the Department of Defense lands at Fort Hood. Following his assignment to Fort Hood, we he was reassigned to the Eastland NRCS Field Office. In his current position as a Rangeland Management Specialist in Corsicana, Jeff has developed and implemented a series of technical programs and tours for owners and managers of grazing lands in North Texas. These programs are presented in cooperation with Texas AgriLife Extension, Soil and Water Conservation Districts, NRCS, GLCI, and RC&D Councils, as well as other participants and sponsors including Noble Foundation, Dow AgroSciences, and Ag Workers Insurance Co.
Jeff is currently involved in a grazing trial in Reisel Texas. In this grazing trial they have two very similar tracts of land, 350 acres each that are across the road from each other. On one side of the road they are doing everything the way they have been done for years; the conventional way. On the other side of the road they are using grass fed grazing practices by running the cows together (in a mob) and rotational grazing the cattle with little to no inputs. In this interview Jeff talks about what they have found over the last year, the first year of this 10 year study. 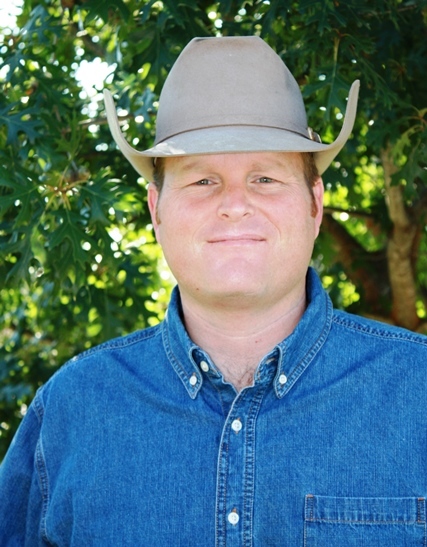 Jeff talks about some key concepts for any grazier and what all graziers should be moving to. Listen to this months training to improve your profit and your cattle's health. If you want to know hear what Jeff and his team is finding, you need to hear this interview!